Baroness play an eclectic brand of heavy metal, embracing the ferocity and sharp technique of new-millennium metal but with melodic accents and intelligent guitar work that suggest the influence of indie rock and post-punk bands. Based out of Savannah, Georgia, the group emerged in 2004 with a pair of EPs, and issued their full-length debut, Red, in 2007 via Relapse Records. 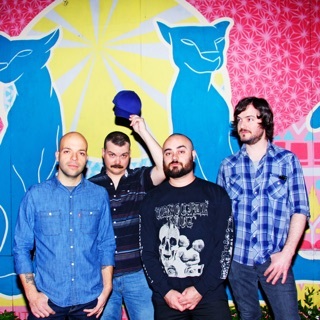 2009's Blue was the band's first studio effort to chart, and helped push Baroness to the forefront of an increasingly diverse metal scene, bridging the gap between indie and progressive rock and stoner/sludge metal. That LP's success paved the way for acclaimed future endeavors like the double LP Yellow & Green (2012) and the adventurous Gold & Grey (2019). The four original members of Baroness -- John Baizley on guitar and vocals, Brian Blickle on guitar, Summer Welch on bass, and Allen Blickle on drums -- are all originally from Lexington, Virginia, but they pulled up stakes and relocated to Georgia when they formed the band in mid-2003. Baroness made their recording debut in 2005 with First, a three-song EP released through Savannah-based indie label Hyperrealist Records. A second EP from Baroness, simply called Second, appeared in stores later the same year. In 2006, Baroness teamed up with another offbeat but powerful band from Savannah, Unpersons, for a split EP entitled A Grey Sigh in a Flower Husk, released through At a Loss Records. In 2007, Baroness signed with the well-respected independent metal label Relapse Records, and in the fall of 2007 they issued their first full-length disc, The Red Album, followed by extensive touring. Guitarist Pete Adams joined the band in 2008 replacing Brian Blickle. In the fall of 2009, the group released its sophomore effort, Blue Record. Baroness spent the following year touring, opening for bands like Metallica, Mastodon, and Deftones before heading back into the studio to begin work on their third album, the critically acclaimed Yellow & Green, which would arrive in 2012. 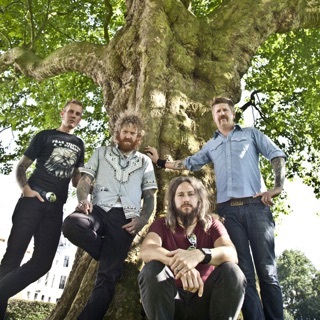 After the release of the album, while on tour in England, Baroness were involved in a terrible accident when their tour bus went over the side of a viaduct near Bath, falling 30 feet. 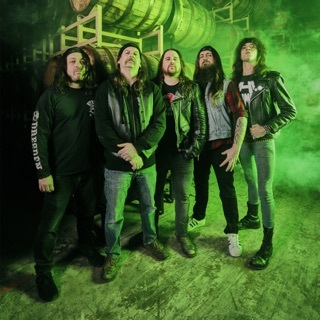 Though many of the bandmembers and their crew were injured, with Baizley suffering a broken arm and leg and Allen Blickle and bassist Matt Maggioni (who had earlier replaced Summer Welch) both hospitalized with fractured vertebrae, there were no fatalities. After recovering from their injuries, Baroness began scheduling tour dates again in 2013, though the announcement they would be on the road again was followed shortly by the announcement that Blickle and Maggioni would be parting ways with the band. Bassist Nick Jost and drummer Sebastian Thomson were recruited to take their place, and made their live debut on a headlining tour later that year. The live album Live at Maida Vale would arrive in the summer of 2013, and would be the last release from the band to feature their pre-accident lineup.